The 19th Annual Tom Joyner Foundation Fantastic Voyage® | Sail April 29-May 6, 2018 - TheUrbanMusicScene.com | Concerts & Festivals! 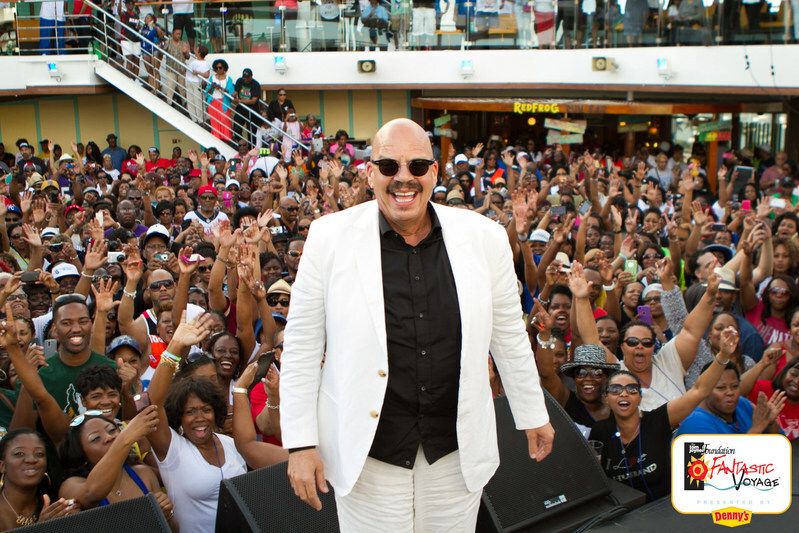 DALLAS, April 27, 2018 /PRNewswire/ — The sold-out Tom Joyner Foundation Fantastic Voyage® presented by Denny’s is embarking on its 19th cruise this week from Galveston, TX. Generally known as the original Party with a Purpose®, this empowering and groundbreaking event specifically caters to the cruising needs of the African-American community through its mission and featured entertainment. Setting sail April 29-May 6, the 2018 Voyage’s promise of nonstop entertainment includes An Evening with Anita Baker and performances from artists Tamar Braxton, The Isley Brothers, Kenny “Babyface” Edmonds, 112, SWV, En Vogue, and The O’Jays. Hosted by renowned radio personality and philanthropist Tom Joyner, the Fantastic Voyage® is one of the most popular and spectacular events in the country. The first of its kind in inviting African-Americans to cruise with an event solely based on their vacation needs, the Voyage consistently sells out and features notable entertainment to create an unforgettable, 24/7 guest experience. Its action-packed seven-day itinerary boasts informative seminars, morning inspiration, fitness classes, intriguing ports, endless activities, concerts, popular celebrities and wildly creative theme nights – all while raising funds to support students in school at Historically Black Colleges and Universities across the country. This year’s event will take place on the luxurious Carnival Breeze. Additional performances will be made by Pastor Shirley Caesar, Eric Roberson, Raheem DeVaughn, Marvin Sapp, Force MDs, Heatwave, Taste of Honey, and a lineup of famed rappers for “Kings of Crunk” and “Golden Era of Hip Hop” performances, as well as those previously mentioned. Denny’s, America’s favorite family dining chain, will serve as title sponsor for both the 2018 and 2019 Fantastic Voyages, further highlighting their “Hungry For Education” scholarship program. Denny’s is a long-time partner with Tom Joyner and has collaborated on many joint initiatives spanning over a decade, all as part of the brand’s continued commitment to empowering education and supporting Historically Black Colleges and Universities across the country. Additional event sponsors include Carnival Cruise Line, Microsoft, as well as Ice Byrd and Yoogey frozen yogurt to provide support along with empowering activities and experiences for guests.